A clean house translates to a clean life. Unfortunately, people overlook carpet cleaning while grooming their home. If you are a homeowner seeking to keep and maintain your humble abode, then you cannot overlook carpet cleaning in Pleasanton, CA; it is a necessity. Whether you own a wall-to-wall carpet or area rugs, then regularly cleaning them will leave your house spick and span clean. Carpet cleaning is an art. Unlike other materials, carpets are made of distinctive components that require special cleaning. Most are made from nylon or basically plastic matter. As a result, their cleaning process is quite intricate and requires deep cleaning for effective outcomes. Luckily, most professional cleaners are aware of this cleaning tip. Alternatively, a homeowner can acquire a deep cleaning machine for his home use. For starters, to ensure that a carpet is properly cleaned, it is highly recommendable to vacuum it properly. In the case of spills, water works just fine on such spots. You can also use other carpet friendly chemicals. Stains are a common spectacle on carpets. To get rid of them, you can simply use water and vinegar mixture, which works wonders on carpet stains. This phase produces remarkable results especially when a strong detergent and freshwater is used. Also, it is wise to dye-test carpets before the application of cleaning soaps and chemicals to prevent carpet damage. 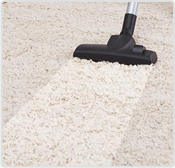 To this point, carpets are raked to work in the carpet friendly soaps and chemicals. In the process, the dirt lodged in the carpet fabrics is loosened and in turn, simplifies the cleaner’s efforts. The carpets are then rinsed with hot water and the resulting dirty water extracted through vacuuming. Clean carpets are a major way of ensuring that you maintain a healthy home or office lifestyle. Moreover, carpet cleaning in Pleasanton, CA is highly economical in the long run as it prolongs its life in a home or office setting. If you seek to add the value of your home or office, engaging professionals to clean your carpet will do the trick.